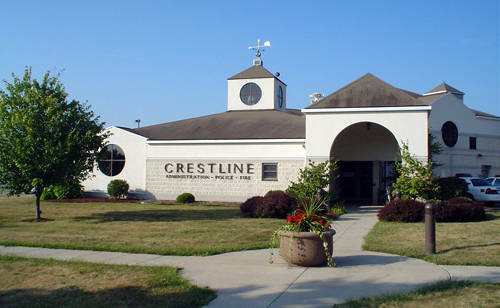 CRESTLINE — Crestline Village Council members unanimously approved a new village administrator during Monday evening’s regular meeting. Rob Ratliff was the recipient of the nomination by recently-appointed Crestline Mayor Allen Moore. Moore was appointed mayor after Barry Byerly left the office in early April. Marc Milliron was removed from his position as village administrator April 2. During Monday’s meeting, council spent approximately 40 minutes in executive session speaking with Ratliff, before publicly accepting him for the position. While accepting Ratliff’s nomination, council waived the residency requirement, which states the village administrator must be a resident of the village within six months of accepting the position. Ratliff will leave his current position as Crestline’s magistrate, but will continue his role as law director for the City of Bucyrus. Ratliff said he will, however, no longer carry out actions as prosecutor for Bucyrus. Moore said the process of nominating Ratliff began after Ratliff approached Moore informing him of the interest in the job. Moore said he interviewed Ratliff for the final time Monday morning and was pleased with the interaction and felt comfortable nominating Ratliff for the job. Ratliff said he is excited to get to work doing his part to help the village. Just as Ratliff is new to his position, Monday was the first council meeting for Moore as mayor. “It went very smooth,” Moore said. Moore, who is retired, said he is ready to give the time necessary to be an effective mayor. “We need to move forward,” Moore said. “We’re trying to do things like get some annexation done, so hopefully we can get some industry. Moore said he typically may be found in the village building in the mornings and later in the afternoons.